School days are the best days of your life they say. 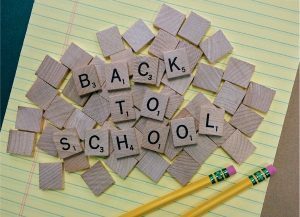 These practical and simple tips could just make the transition to ‘big school’ a date to remember. Here are twenty top tips to help with starting big school. It’s physical, emotional, intellectual and confidence building you are in need of so see how many of these tips are ‘do-able’ and start investing some time into your child’s education. The idea is to try a few at a time or select the ones you feel are appropriate. When the confidence chart goes up add in a few more of these recommended tips. Play-dates, arrange to have friends over to play. Children need to keep up with social interaction. It is very important to remember school is a very sociable environment. If you know the children who will be in your child’s class then invite them over to play and keep friendships and socialising active. Choose the school route and run it a couple of times if it is something new. Talk about familiar things along the way. This will be reassuring in the first few weeks of the new year at school. Get excited about new uniforms and clothes, try the new items on. Practise dressing in them and being independent with getting dressed. Encourage responsibility by making a snack in the kitchen, pre-packing a school lunch and then have a pre-school picnic morning in the holidays. Invite friends and then you are combining a play date and an act of independence. Make an events calendar and fill it with exciting things to do as a countdown to starting school. Treats and social events as a lead-up to the big day will make the real date seem part of a whole lot of fun to do things..
Make sure your child can recognise their name. Bring out the school labels for clothing and play a hide and seek game before they go on the clothes. Show your child where the labels are sewn so it is easy to find the label and identify the item if it gets lost at school. Teach your child your contact number and your home address. Mix up number cards and see if your child can pull out the necessary numbers and put them in order. Make sure your child uses the toilet independently and knows how to ask to use the bathroom in preparation for the school routine. Games, games, games, you can play as many board games, memory games and counting games as possible. Games create the positive kind of interaction children enjoy and they set the foundation for so much more at school. Most of all games encourage taking turns and being a good winner or looser so they have great value in character building. Books are the best tool for so much learning through their stories and vocabulary. Books offer the opportunity to discuss and evaluate situations. Books bring vocabulary to the front of learning and stimulate conversation as well. Pictures and drawing them. There is enormous value in drawing and talking about pictures. Self- expression is encouraged through drawing. It is a less threatening medium of communication and especially suited to young children who can scribble and draw as they learn to show what they mean verbally in a picture. Find opportunities to encourage pre-academic fine motor skills. Your pre-school teacher will help with the right advice but keeping up with fine motor skills through colouring and cutting is an advantage. Ask what is expected of the child prior to entry into the first big school grade and help with practical opportunities to cut and colour. Have fun activities round the house and garden to encourage knowledge of numbers, colours, and shapes. Treasure hunts and scavenger hunts are great fun for this age. Practise the early morning getting dressed routine. Get ready to stand at the car or catch the bus. Try this out in the holidays with a timer and try to break records to make it fun. Discuss different things that can happen at school and how to re-act to them. Make up some funny stories or find school jokes to help with the process of enjoying school. Try some role play or ‘What if scenarios.’ What if a big boy pushes you in the playground? What if you loose your lunch? What if you fall and hurt yourself at school? Practise taking turns and answering questions just like being at school. Have friends over for a quiz and make sure hands go up for the answer. Be positive about everything and encourage positive comments about school. If your school days were not the best days of your life try not to pass on a negative message. Draw up an independence ‘YES I CAN’ chart. Make a list of the skills that can be done, talk about them and reaffirm ‘Yes YOU can. Have a hello and goodbye routine so that the final goodbye is not traumatic but a positive experience for everyone. If you have tried out these top tips the process should be an easy one. No doubt there will be struggles but preparation is going to make a difference. Trying out these tips should give your child a chance to face big school with a smile. Being prepared is the key to a safe transition to big school.